Olympic gold medallist Chen Long beat team-mate Lin Dan in three games to secure his first Badminton Asia Championships title in Wuhan. Olympic silver medallist PV Sindhu crashed out of the Badminton Asia Championships as she was beaten by China's He Bingjiao in three games. 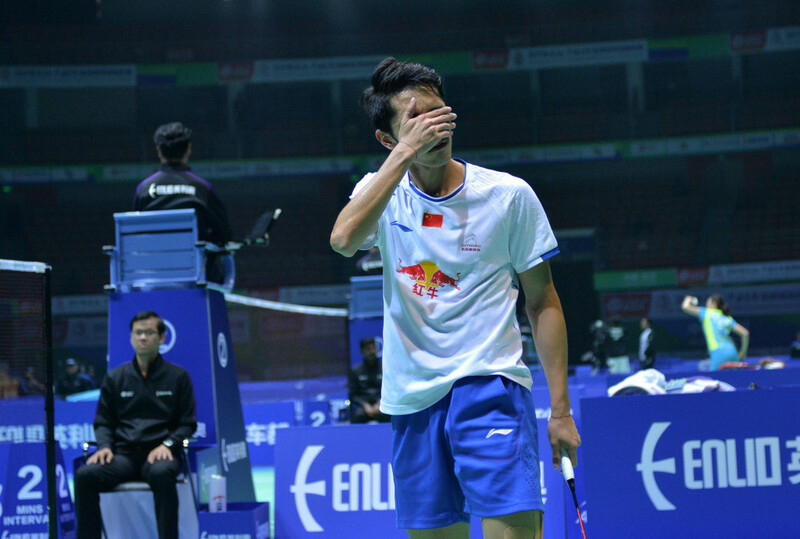 Home favourite Tian Houwei suffered a shock defeat against India's Ajay Jayaram today as the fifth seed crashed out of the Badminton Asia Championships in Chinese city Wuhan at the first-round stage. Olympic champion Carolina Marin of Spain and Chinese Taipei's Tai Tzu Ying will clash for the women's singles title at the Badminton World Federation (BWF) Singapore Super Series after both players won their semi-final matches in straight games today. Olympic champion Carolina Marin of Spain booked her place in the semi-finals as she overcame India's PV Sindhu in a repeat of the Rio 2016 gold medal match at the Badminton World Federation (BWF) Singapore Super Series. Olympic champion Carolina Marin and top seed Tai Tzu Ying were among the players who progressed to the quarter-finals of the women's singles event at the Badminton World Federation (BWF) Singapore Super Series today. Tai Tzu-ying of Chinese Taipei is aiming to win successive titles at this week's Badminton World Federation (BWF) Singapore Open Super Series tournament, which gets underway at the Indoor Stadium tomorrow. P.V Sindhu will be aiming to win consecutive titles at this week's Badminton World Federation (BWF) Malaysia Super Series tournament, which gets underway at Stadium Perpaduan in Kuching tomorrow. P.V Sindhu partially avenged her defeat to Carolina Marin in last year's Olympic final as she delighted the home crowd by winning the Badminton World Federation (BWF) India Super Series title in New Delhi. Olympic champion Carolina Marin comfortably secured her place in the quarter-finals of the Badminton World Federation (BWF) India Super Series with a straight-games victory over the host nation's Ritupama Das in New Delhi. Rio 2016 Olympic gold medallist Carolina Marin opened her campaign at the Badminton World Federation (BWF) India Super Series in New Delhi with a straight-sets victory over South Korea’s Kim Hyo Min. 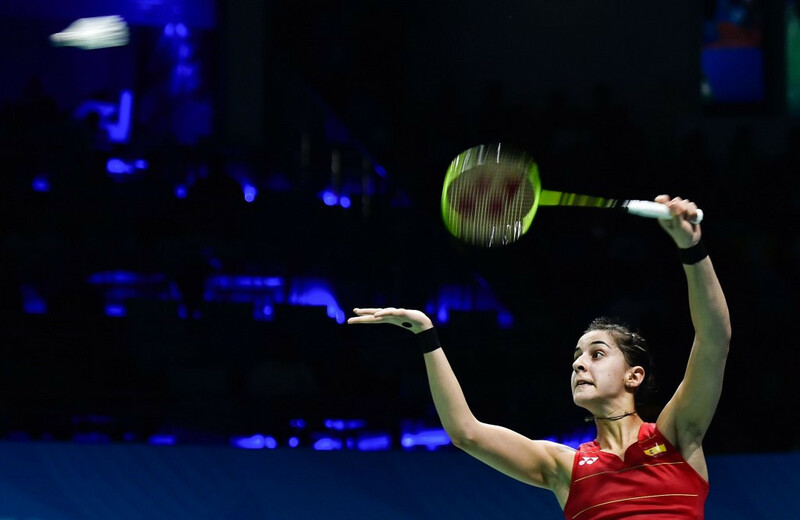 Olympic champion Carolina Marin crashed out of the Badminton World Federation (BWF) Yonex All England Open at the quarter-final stage as she was beaten by Thailand's Ratchanok Intanon in Birmingham today. Spain's Rio 2016 Olympic Games champion Carolina Marin avoided a scare at the Badminton World Federation (BWF) Yonex All England Open in Birmingham today as she came from a game down to progress. Spain's Olympic champion Carolina Marin avoided a scare to reach the second round of the Badminton World Federation (BWF) German Open in Mülheim today. World number one Lee Chong Wei got his men’s singles campaign back on track at the Badminton World Federation (BWF) Dubai World Superseries Finals after recording his first victory of the tournament here today.